We are instrumental in rendering a wide array of Project Cargo Handling. We offer these project based cargo handling service to facilitate our customers. To fulfill our commitment to our clients we accurately execute our plans. To create and implement effective solutions we we join our heads to thing out of the box to offer best service to our client. 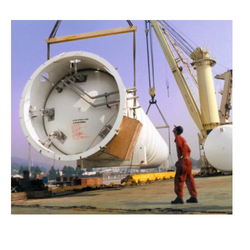 These project cargo handling service are offered at a reasonable price range to our clients. In addition to this, the offered services are executed as per the diverse requirements of respectable clients. 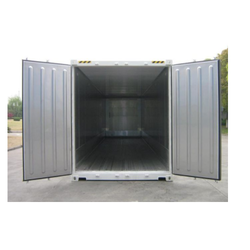 We are a renowned organization, which is engaged in rendering Project Cargo Services to our esteemed patrons. Our team of professionals ensure our clients are fully satisfied with our services. These services are rendered by efficient experts, who make sure to use modern machines and latest technology to follow international standards. Our project cargo services are known to delivered timely at a reasonable price range. Temperature Controlled Shipment is used when the contents of a delivery, usually food or medications, must be maintained at a certain temperature in order to prevent spoilage. Temperature controlled packaging usually guarantees that the shipped item or items will remain fresh and refrigerated for up to 96 hours from the time of shipment until delivery. Meats, medicines, vaccinations, and other refrigerated materials can safely be shipped from store to consumer or from drug supplier to pharmacist or doctor without any risk of contamination or spoilage.